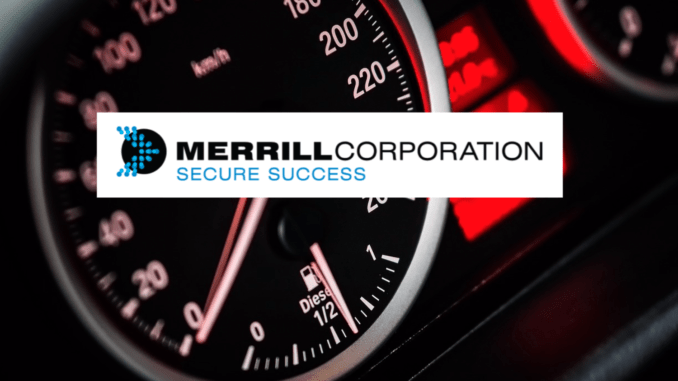 A new survey by OCR and document analysis company Merrill Corporation predicts that the speed of M&A due diligence will accelerate, with data analytics and AI tools expected to be key accelerators behind future improvements. The survey found that 32% of EMEA practitioners stated that being able to harness data analytics will accelerate the due diligence process the most; followed by a larger due diligence team (20%) and standardisation of documents and processes (14%). However, despite this, for some the speed of deals may remain restricted by data management challenges. Most practitioners (46%) overall believe AI and machine learning technologies have the greatest potential to transform due diligence over the long-term. Perhaps surprisingly, some respondents said that they expected the new wave of tech tools to actually increase the number of people involved in review tasks. This seems to go against the outcomes observed so far. Overall, 50% of practitioners expect the use of technology in due diligence to moderately or significantly increase the number of people involved in a transaction over the next five years. Some 31% expect the number to stay about the same, and the remainder (20%) expect number to decrease. Greater security expected: Most EMEA practitioners (63%) overall believe new technologies will enable greater security in the due diligence process over the next five years, followed closely by enabling greater analytical capability (61%) and simplifying the entire process (45%). Swifter due diligence: Overall, 78% of practitioners say due diligence – from sourcing a deal to deal completion – will take less than three months on average by 2022, up from 64% in 2018. Regulation will impact the process: Most practitioners (66%) overall believe the EU’s General Data Protection Regulation (GDPR) will increase acquirers’ scrutiny of the data protection policies and processes of target companies. However, 22% of practitioners believe it will have no impact on the due diligence process at all. ‘Over the past two decades, the scope of due diligence has widened considerably. Where once a check of the financial and legal documentation was considered a thorough job, due diligence today routinely covers human resources, information technology, environmental impacts, regulatory concerns and compliance, commercial or market intelligence, tax, insurance, property, intellectual property, customer and operations,’ he added.